How do you Reinvent Paper? The answer is as sweet as it is smart. Each year over 900 million trees are harvested for paper alone. 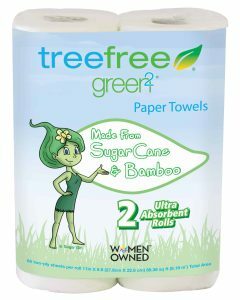 Green2 is Tree Free paper made from sugar cane and/or quick growing bamboo grass, the most rapidly renewable resources. We didn’t reinvent softness, strength, or absorbency…our paper products already stack up to those tests. 500 Million Plastic and PLA straws are used in the USA every day. We’re here to help with the ban on Plastic and PLA straws. 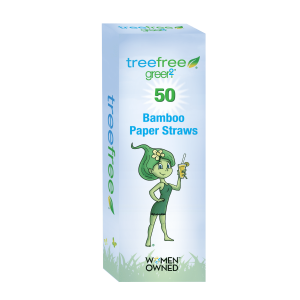 The Best Straw Alternative is Bamboo Paper Straws made with Rapidly Renewable Resources. The world manufactures nearly 1 trillion disposable cups a year and most end up in our landfill. Made from Bamboo, a rapidly renewable resource. 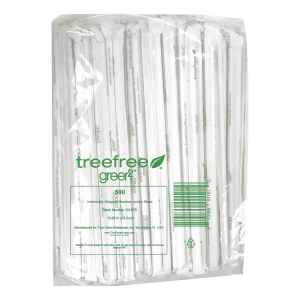 Green2 Tree Free paper products are a breakthrough in sustainability with a positive impact on earth without sacrificing quality. 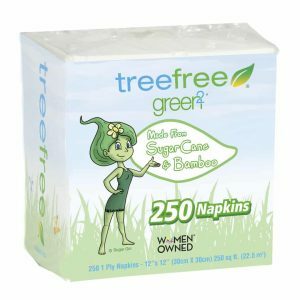 Green2 Tree Free paper products are a favorite among consumers and businesses who care for the environment and want to live responsibly. 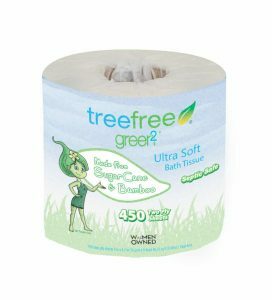 Our Tree Free paper products are soft, absorbent, affordable, septic safe and whitened with hydrogen peroxide – a natural alternative to bleach. Hypo-Allergenic, no dyes, lotions, fragrances, corn, wheat or glue added! Tree Free paper is a reality. It is a reality that everyone can be a part of both for businesses and households. Tree Free paper is just one solution that will help people reduce their carbon footprint. It is a product that will provide future generations the beauty of natural forests and habitats for centuries to come. Watch our video to learn more! Are you ready to make a difference? Choose to help fight deforestation by using a product that breaks away from using Earth’s precious finite resources. Choose to use a product that is part of the solution. There are many reasons why you should make a conscious decision to choose Tree Free. The most urgent being the deforestation of our natural resources. Every day we lose rare tree species and habitats for wildlife. We need to consider where the material that makes our paper comes from. And, more importantly, we need to make sure the source is easily replenishable! Why we Chose Tree Free and why you should too! We believe that people want to make a difference. The best way to do that is to think about the environment and how we can protect it for generations to come. 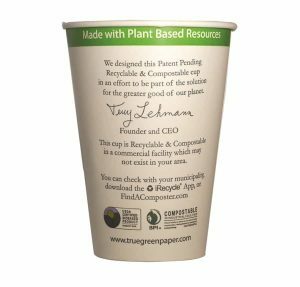 True Green Paper Products provides an environmentally sustainable plan through our Green2 products. We have made a personal as well as a business commitment to try and use products made from renewable resources whenever possible. We make this commitment because we want future generations to share in a greener tomorrow. If these products aren’t made from trees, then how are they made? 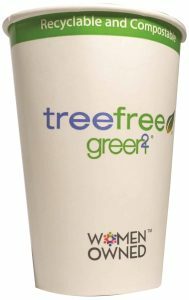 Green2 products are made from two renewable and sustainable resources. These two resources are sugar cane husk and bamboo grass. Sugar cane is the largest agricultural crop in the world. As it is developed for what we call sugar, it also produces a byproduct called bagasse. When sugar cane is crushed, the bagasse is extracted and can be used for bio energy or as a pulp for paper products. Sugar cane can grow back to its original height in as little as 12 months. Bamboo grass is another renewable resource that can be harvested for the production of Tree Free paper. Bamboo grass can grow up to three inches in one day. It can regenerate to its full growth in as little as six months. When we choose Tree Free we choose to give back to the environment that has helped us grow. While it’s easy to take nature for granted, the earth’s resources require care and good stewardship. 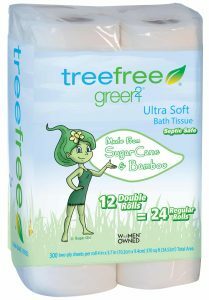 Choosing Tree Free is easy with Green2 paper products. No trees were harmed while making these products.